The cold chain is likely the most unforgiving supply chain in logistics, and it isn’t hard to understand why. It’s energy intensive to run cooling systems in storage and transportation, and the environment between transportation vehicles and storage areas is often uncontrolled and, indeed, uncontrollable. As a result, the weather can affect the viability of your loading docks and distribution center operations. Despite this, cold chains most often falter as a result of human error, which can be avoided by adhering to cold chain best practices. Best practices are simply recommendations which provide a place to start as you build and enforce the procedures specific to your supply chain. Detailed procedures and disciplined adherence to those procedures are key to avoiding the many lapses that can break the cold chain. Best practices are simply recommendations which provide a place to start as you build and enforce the procedures specific to your supply chain. They create an environment that reduces the chances of employee error, product diversion, and equipment failures that can render cold chain products unsafe for use and unfit for sale. We’ll start with one of the most basic–but also most overlooked–issues in the cold chain: undertrained employees. Lapses due to employee error are some of the most difficult to prevent. You depend on your warehouse and transportation employees to handle cold chain products in a consistent and safe manner. If your employees are unaware of the special precautions required when handling cold chain items, then it’s only a matter of time before the cold chain is broken. Keep vehicle refrigerators shut until enough space is arranged to receive the load. Check for temperature lapses and perform an inspection before signing to take custody of the items. Check that there is enough space available in the cooler for the load on the manifest. Rearrange products in the cooler to make space without damaging them if there isn’t enough room. Be aware that transfer between cold storage areas should take place as quickly as possible and the door should be sealed after exiting. Procedures such as the one outlined above should be developed for every location and cold chain operation in your supply chain where goods are handled or transferred. Procedures to train new hires on your cold chain processes and a certification process should also be instituted. The scenario outlined in the previous section doesn’t only apply to individual warehouses. The entire supply chain should have enough capacity to deal with the temperature-sensitive items it will be handling. 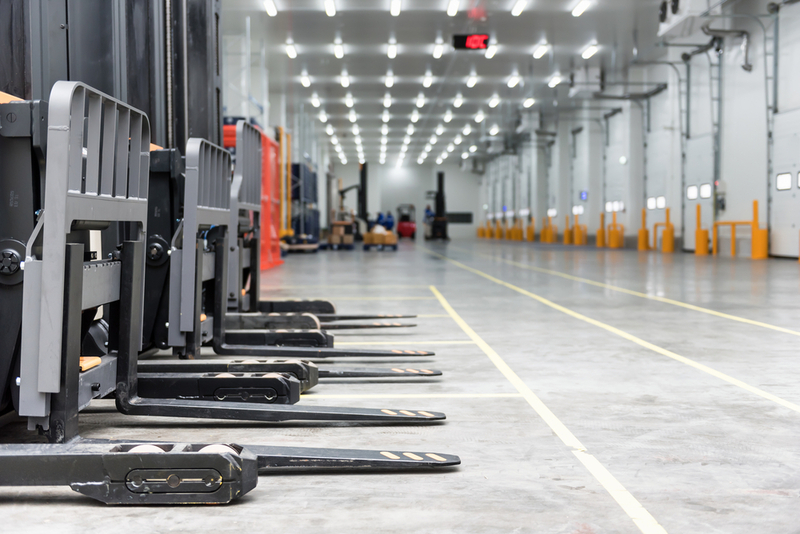 In light of the fact that transportation errors and other incidents can halt operations at some locations, excess capacity is needed in other warehouses and distribution centers to compensate. Ensuring that you have excess capacity prevents product damage due to unanticipated circumstances. Assess your existing supply chain–both temperature-controlled and standard–to determine potential gaps in temperature control. These can be as obvious as a refrigerated distribution center having no backup facility in range, or as subtle as an improperly maintained cooling unit. Identify locations with the overflow capacity to handle excess cold chain products in case of equipment failure or supply chain interruptions at the end retailer or warehouse. Draw up plans for a new refrigerated warehouse or install temperature-controlled facilities at existing installations. Develop a construction schedule and mobilize resources to create the necessary excess capacity, and train staff to maintain the facilities. Create cooling equipment and power supply redundancies in the overflow locations to harden the locations against incidents. Establish criteria for when this capacity will be used and clearly delegate responsibility for initiating its use in case of disasters or other cold chain logistics issues at the regional level. Ensuring that you have this excess capacity prevents product damage due to unanticipated circumstances. A hurricane that renders end delivery points inaccessible, for instance, can be compensated for by holding deliveries at a regional distribution center with the needed capacity. Having this kind of procedure in place not only helps save you money, but also allows you to outcompete your competition while providing a public health and safety service. Other opportunities are created through the adoption of new or improved cold chain technologies. Cold chain best practices, like having well-trained employees and increased capacity, are complemented by another best practice: improved automation in the supply chain. An automated storage and retrieval system (ASRS) reduces the exposure of cold chain products to human handling, and as a result, reduces their vulnerability to human error and lapses of judgment. An ASRS can also allow your products to be stacked higher, improving cube utilization in the warehouse and creating valuable extra cold chain capacity. However, additional adjustments to the supply chain may be needed to keep automated systems working smoothly. Wood pallets, for instance, are very often inconsistent in dimensions, weight, and level of repair, all of which can cause issues with an automated system. A reliable shipping platform will go a long way toward helping your company make the most of supply chain automation by preventing interruptions due to platform failure in the automated systems. 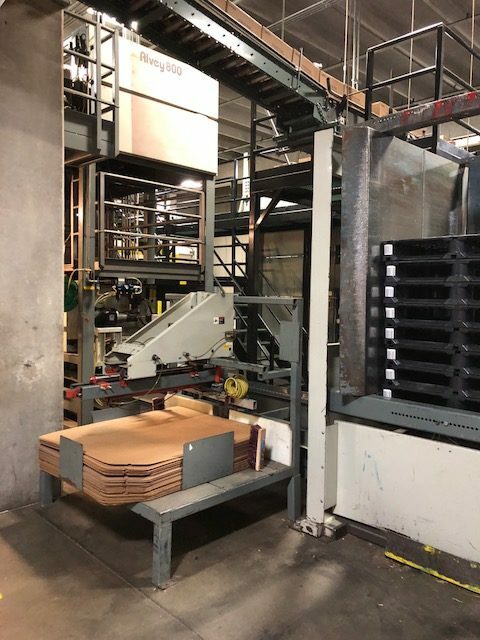 Plastic pallets are unitized platforms that lack the nails and boards of wood pallets, making them more reliable in conjunction with automated systems like ASRS or Automated Guided Vehicles (AGVs) in the warehouse. In this way, plastic pallets can support established cold chain best practices. However, some high-quality plastic pallets offer even more. Assessing your supply chain for potential gaps in cold storage is far easier with accurate, reliable tracking. A plastic pallet equipped with GS1 standard tracking measures like a Global Returnable Asset Identifier (GRAI) number is easier for warehouse automated systems to keep track of, either by scanning the GRAI number on a barcode or by recording it through Radio Frequency Identification (RFID) scanning. Either method of tracking offers additional benefits for the cold chain. Assessing your supply chain for potential gaps in cold storage is far easier with accurate, reliable tracking. Precise tracking allows you to identify finer margins, create the capacity you need, and predict what extra space may be required in hypothetical scenarios affecting your supply chain. These capabilities can help prevent lapses in your temperature control and allow for constant refinement and improvement of your cold chain. The iGPS plastic pallet pool provides a high-quality shipping platform with the consistency and modern RFID tracking capabilities the modern cold chain needs. To start improving your cold chain, give our team a call at 1-800-884-0225, email a specialist at switch@igps.net, or visit our contact page.